1. Find The Obvious – Drucker looked for the obvious things in order to identify people’s greatest needs. It takes discipline to find them…and will lead to tremendous opportunities in your small business. 2. Help Employees Grow – Show the employees of your small business how to learn. In the knowledge economy we have today, Drucker believed continuous learning is the key for growth. 3. Teach – To become a better learner…teach. Drucker taught American history, Japanese art, religion and statistics during his career, because teaching requires learning new concepts, not just facts. 4. Measure Yourself – Whenever you make a key decision, write down your expectations of the outcome, then go back nine months later and see how things turned out. Drucker did this regularly in order to identify his strengths and weaknesses as a decision-maker. 5. 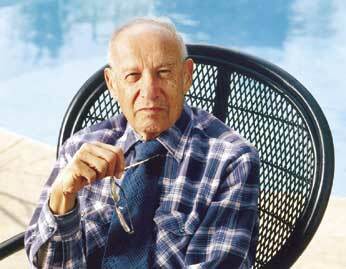 Be Curious – “My greatest strength as a consultant is to be ignorant and ask a few questions,” said Drucker. Be sure to ask your employees lots of questions to keep them focused on your goals. 6. Seek Consistency – Look for inconsistencies between what is and what ought to be in your small business. Then, set out to align things in the way you know they should be. 8. Make Things Better – “The test of a leader is not what happens during his lifetime, but what happens when he leaves.” The only thing that matters is how leaders touch the lives of those around them. 9. Create Systems – “Efficiency is doing better what is already being done.” Look at all of the moving parts in your small business, then systematically determine how to do each of them better. 10. Manage Yourself – “Time is the scarcest resource and unless it is managed nothing else can be managed.” Focus on “Genius Time” – those things that have the biggest impact on your small business. 11. Go All In – “Unless commitment is made, there are only promises and hopes… but no plans.” Make sure your team commits to achieving each of your goals…and theirs. Copyright © 2005 by Success Handler, LLC. All rights reserved. The Coach, David Handler, is the founder of Success Handler, (http://www.successhandler.com), and specializes in helping small business leaders find clarity and take action. He understands the challenges of running a business, because he’s been there – as a small business owner, franchisee, franchisor, corporate leader and trainer. Much like sports coaches, his coaching will show you how to compete on a level playing field in your industry.